Peel and cut the nduma into pieces. Wash and place the nduma in a pot. Add coconut milk to cover the nduma . Add salt, diced onions (optional) and green chili peppers. 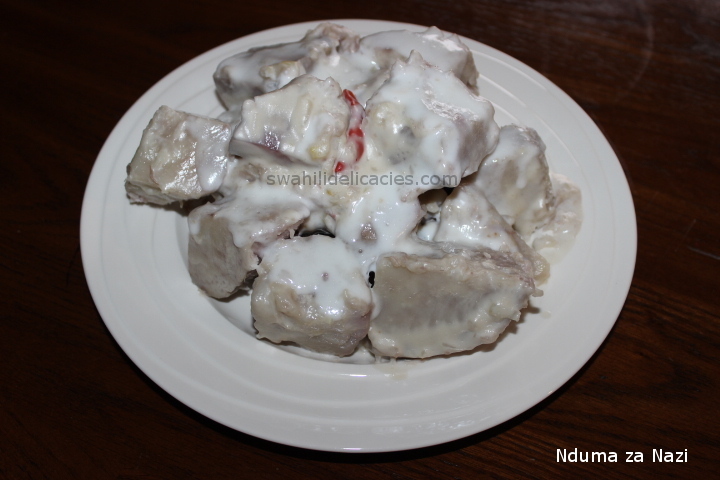 Cook until the nduma is completely soft and the coconut milk has reduced. 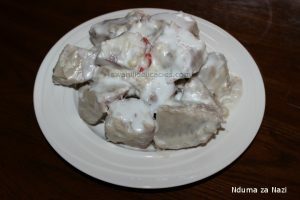 Now take a small pot and add thick coconut milk and cook it until it thickens, then pour it over the cooked nduma. Then remove the nduma and place it in a serving dish.